The NEW Club Website continues to grow and will do throughout all of 2014. 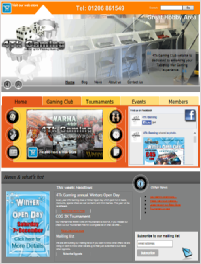 You will see our Tournament section grow with a big focus on our Smak Tournaments. 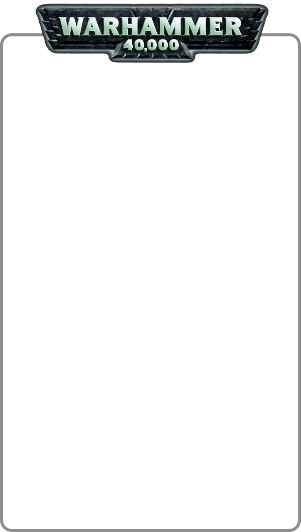 You will see previous events and tournament pictures go up “we know this has taken far to long but it needed to be done right). There will be more drive to develop the members section to include a members gallery which we know you want to see up and running. 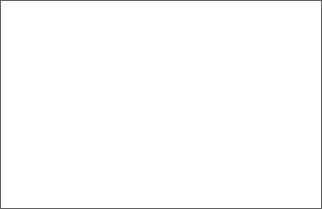 2014 promises big changes but all good for you guys…. 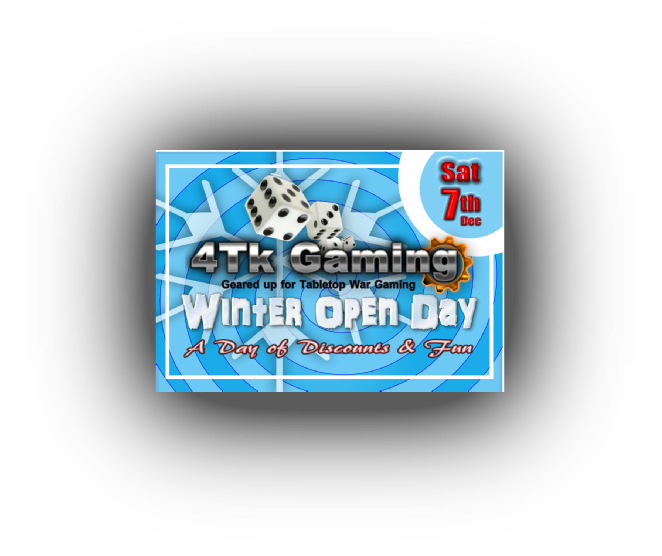 At 4Tk Gaming we always put on an annual Winters Open Day, which for us a chance to show everyone what this hobby is about and how diverse it can be. Its also a great opportunity for you meet some of your favourite gaming vendors and most importantly to give you all the opportunity to pick up some great deals and real bargins. This year is no different and if you want to see whats on offer the select the Winter Open Day image opposite. 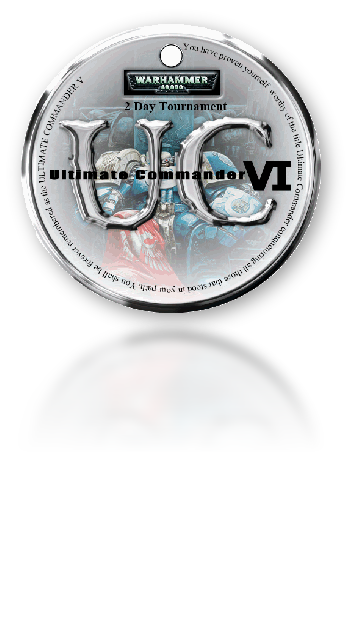 Ultimate Commander is our annual 2 day Warhammer 40000 Tournament. This event always gets a good turn out and is an opportunity to play a great tournament on some of the best gaming boards around. 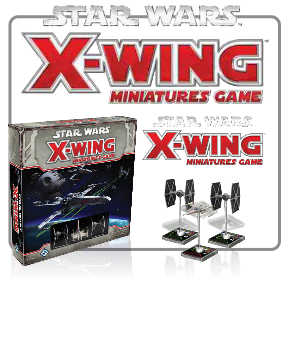 This is a prestige tournament that offers some very nice rewards including a 1st place quality glass trophy, Certificates, best painted army and a prize support pack. 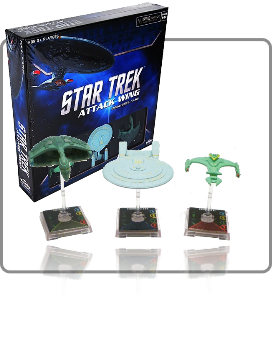 X-Wing & Star Trek; To start this epic 3 months focus we have a month of Demos. Pop down any Saturday in Jan 2014 between 1 & 3pm and we will show you why everyone loves it. Selected Troop Choices throughout the whole ofJanuary.